← I am soooo grateful! 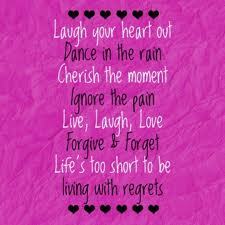 This entry was posted in Random and tagged Dance, Forgive, Laugh, Life, Life's too short, No Regrets. Bookmark the permalink. Glad that you had some time to camp out. Come back anytime!